You can earn 183 yards with this purchase! 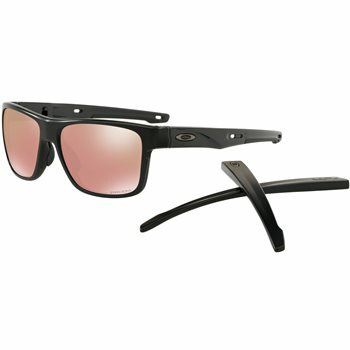 The Oakley Crossrange sunglasses feature interchangeable Unobtainium earsocks and nosepads that provide excellent grip even when perspiring. The sunglasses also feature Three-Point Fit, which holds lenses in precise optical alignment while eliminating pressure points. Lens technology includes High Definition Optics that provides superior optical clarity and razor-sharp vision at every angle.